I get a lot of weird looks whenever I describe Mirror’s Edge as not only a great game – but also one of my favourite games I’ve ever played. People will often describe Mirror’s Edge as shallow, complicated and sea-sickness inducing. All of these could be true and I’m not going to pretend this game is flawless, but it is a game that I have willingly gone back to and completed on a number of occasions. This is made particularly easier by its short length, but to me, that’s perfect! I’m not looking for a second job when I go out and buy a new game, I want something that I can pick up and play a few evenings a week for an hour or so. The premise is simple, you’re Faith, Faith is a “messenger” of sorts, also known as a terrorist. You move pieces of propaganda and other items around a futuristic dystopian city. With police and CCTV everywhere the safest and easiest way to get around is the rooftops. This is where Faith’s parkour skills come in tremendous use. Your sister in the game is Kate, an unlucky police officer who gets framed for murder, your job as Faith is to find the truth and crack some heads open in the process. What makes this game truly special to me, and one I’ll always return, to is the presentation. Aesthetically and audibly this game is a breath of fresh air for this current generation. Personally I’m fed up of all the grim and gritty locales, everything being grey or brown is boring in real life, why would I want to spend hours of my life reliving the crappy excuse for a planet we live on. I love this game’s bare white buildings with small splashes of red, either for colour or indications of where you can climb (this is only available if you’re a big girl’s blouse and play on easy or normal modes.) The world DICE has created with this game is one that just works wonderfully. The music in the game is chilled, it complements the stark futuristic nature of the game, the main theme music “Still Alive” with vocals from Lisa Miskovsky is a particular treat. I have many computer game soundtracks, but this as well as Fable II and Trine are the only ones I return to on a regular basis. The movement in the game is all based around fluidity, you could stop every few metres to work out your pathway across a building’s roof, but what’s more fun and satisfying is to let go and just wing it. Sure you may come to an abrupt stop every now and then after trying to climb a wall that’s just too high, but these moments just motivate you to be better. The sequences when you’re being chased across rooftops or around office blocks are exhilarating, the bullet holes appearing at your feet and sides just add to the excitement of pulling off a great run. The long teased and cancelled sequel has been flaunted around news sites for the past few years, each time soliciting a “No comment” or “it’ll be out when we work out what to make” response from EA and DICE. 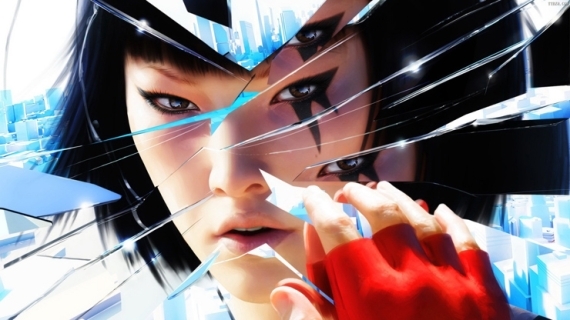 Critically Mirror’s Edge got a mixed bag of reviews, some praising it’s fluidity and aesthetics, others calling it a short game full of flaws. For me this game will live eternal until the holy grail of the sequel I want comes out. LAUREN RALPH LAUREN (???????????) ???100? ????? ???? 2?? ????? ??? ??????? ???? ??? ?? ?? ???? ????? ????????????? ???????? ???? ???? TD-5036?TD-5037 ?? ??? ?? ???? ?????? ??? ????????????????(???????) ?????????100? ??????? ??????? ? ? (16628) ??????(100??)?2017? ????????????????_??? Previous Post Retrophiliac Vol.3 – Would You Like Fries With That?